The end of 2015 has brought the end of WHO’s Millennium Development Goals (MDGs) which have achieved a significant, though patchy improvement in global maternal and child health. The new-born health and stillbirths were not on the global agenda of MDGs. Hence, the global burden of neonatal and perinatal mortality remained largely unchanged. With the dawn of 2016, the world entered into the new era of Sustainable Development Goals (SDGs). The SDGs mandate all participating nations to reduce neonatal mortality rate to <12 per 1000 live births by 2030. The nations worldwide have unanimously committed to this objective though there is a wide variation in their individual socioeconomic, cultural and health care set up. 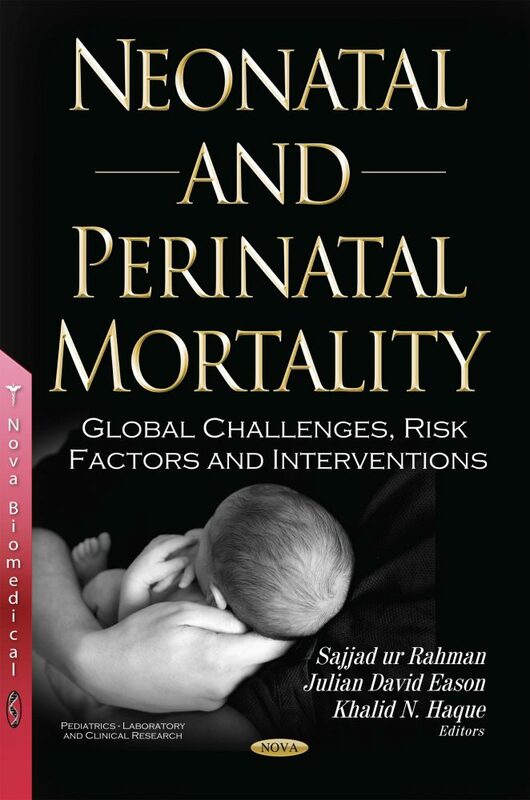 With this in mind, it is important to understand the current burden of global neonatal and perinatal mortality, its risk factors and interventions required to reach the SDG target by 2030. This book on neonatal perinatal mortality compiles a comprehensive and systematic reviews assembled by panels of experts from well recognized institutions worldwide on the current status and determinants of neonatal perinatal deaths and the evidence based interventions required to reduce these deaths worldwide. Global Health students and experts, Pediatricians, Neonatologists, Perinatologists, Obstetricians, Public Health Professionals, Health care strategists, Health care Funding agencies, Government and Non-Government health care providers, Academicians, Researchers, Nurses, Midwives, community health care workers, medical students, academic institutions.